Established in the year 1984, we, "Nitin Engineers", are amongst the prominent manufacturer, service provider and exporter of a wide range of Industrial Coil, Yuken Coils, Solenoid Valve Coils and many more. These are manufactured utilizing high grade raw material that is procured from most reliable vendors of the market. To ensure that these are in compliance with international quality standards, the team of quality controllers conducts stringent checks that are based on several parameters such as dimensional accuracy, maintenance level, durability and resistance to corrosion. Further, to meet the diverse application requirements in different industries, we offer the coils in standard as well as customized forms. Besides manufacturing, we are also instrumental in undertaking various Sheet Metal Fabrication and CNC Bending Services in which, we fabricate different types of kiosks and machines. To carry out all our manufacturing and fabricating works, we have established a well-developed manufacturing unit that is spread over a large area. This unit is equipped with all the requisite machines and tools such as CNC & automatic 3 coils winding machine, testing instruments and heating chambers (ovens) that help us in meeting bulk and specific requirements of our clients within stipulated time frame. The owner of our organization, "Mr. Nitin Sheth", has years of experience in this domain and guides us in establishing a strong foothold in the industry. His support and knowledge have enabled us in catering to the markets of Asia, Africa, New Zealand, Taiwan and Russian countries. Some of our reputed clients are Electromag, Mumbai; Sudarshan Gears, Mumbai, Comp Air Systems, Mumbai; Bharat Bijli, Navi Mumbai and SHINJAU International, Taiwan. 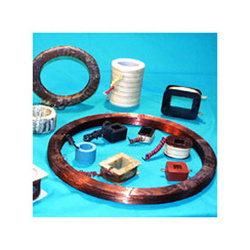 Quality being the nuclei of all our business operations, we stringently focus on offering flawless range of Electrical Coils. We follow stringent quality measures in the complete production process to ensure that our coils are in accordance with the international quality standards. At our hi-tech quality testing department, we have installed all the requisite machines and tools that help our quality controllers to conduct various tests. They carefully vigil each and every stage of pre and post manufacturing processes that ensure reliability and improved functionality of our products as well as services. We aim to secure a future, which is productive and profitable for our clients through our consistent growth and upgrading initiatives. We upgrade our methodologies and enhance our knowledge to achieve our objective. We strive to deliver products in compliance with the clients need and requirement.